Rabia El Alama delivered 7-minutes speech on main stage at the eWomenNetwork conference in attendance of 1200 women entrepreneurs paving the way to success for the delegation. During her speech, Rabia El Alama spoke beautifully about Morocco; Made in Morocco and connecting Moroccan women to U.S. networks, especially the eWomenNetwork. This speech had great fallout as many participants quickly headed to the Moroccan Avenue at the Business Expo, galvanizing their commercial activities. During this business trip, El Alama introduced the delegation to several business magnates, which enabled the signature of a MoU and allowed the Moroccan participants to establish a promising network. 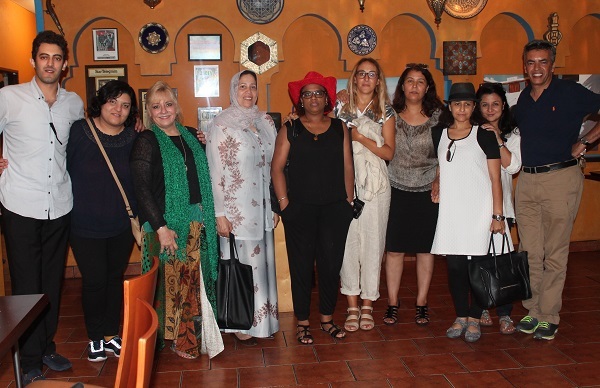 Furthermore, the eWomenNetwork management announced their interest to visit Morocco in order to organize a retreat for their members in Marrakech in 2016. Moumou represented the very well recognized tea brand Sultan from MaThé, the largest Moroccan tea company, founded almost 80 years ago. 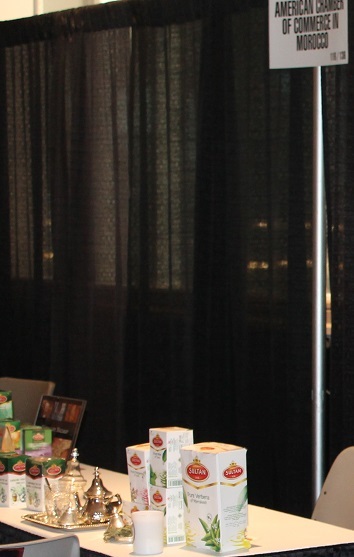 During the expo, Moumou successfully promoted the brand and served Moroccan tea to the eWomen participants. “I would like to thank you Rabia once again for your excellent initiative to allow us as a member of AmCham to participate at the eWomen conference, it was really interesting and amazing. I was very honoured to attend such event, which lifts up our country and our Made in Morocco products. Guessous is an excellent artist who promotes Lalla De Moulati, a fashion design and stationary brand. She managed to get some very interesting contacts, which would help her find a distributor for her brand. 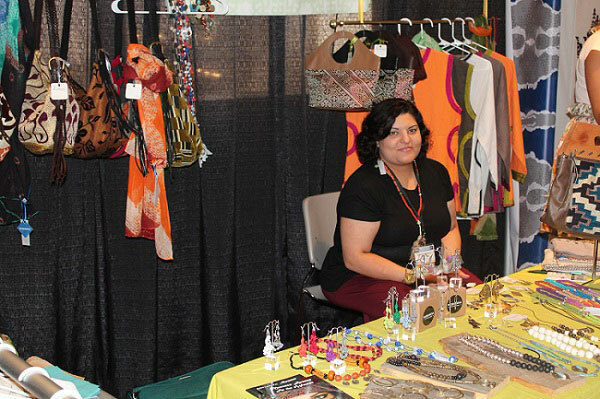 Her products, especially those that are handmade, met a great success at the business expo. More than that, the conference allowed her to shape a better marketing vision for the U.S. market. 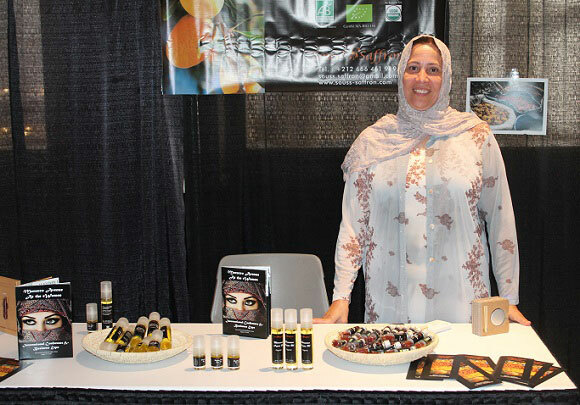 Mellouk is a very successful entrepreneur who managed to steal attention at the eWomenNetwork Conference by her great products, Moroccan saffron and Argan Oil. Mellouk impressed everyone at the conference by her enthusiasm and energy for her company. Her promotion for her Souss Saffron was outstanding. People who saw her product were able to get a full understanding of how saffron is cultivated and processed in her village. 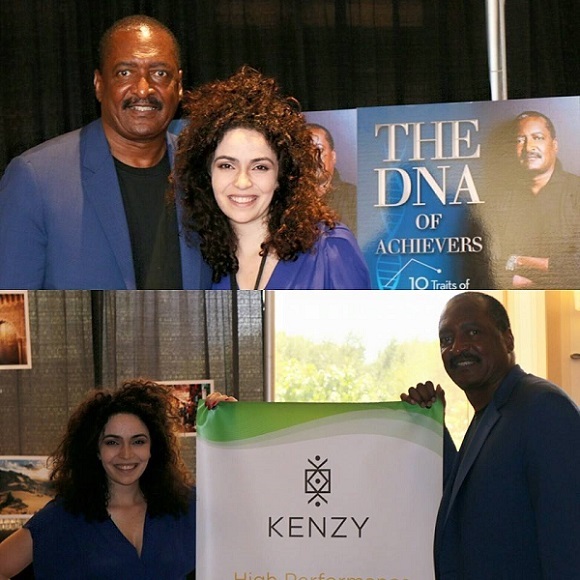 Her success story with her cooperative will be featured in a documentary as well as a book and her goods will be sold in two malls in California. Nhairy was present to promote her communication agency, iMediaRt, and her Moroccan greeting cards. She managed to sign a Memorandum of Understanding with Too Busy Gals in social media, under the auspice of AmCham. “I was at first skeptic about a women-only event. But then when I got to meet them, I realized that women are amazing creatures I should do more business with. I can go on and on about how wonderful they are but I just want to say it’s not easy at all to be a woman entrepreneur and it takes a lot of work and personality to be one. Great event, great people. I am glad I came. AmCham has done a lot of work to match all of these companies together so that they can share their experience and work on future projects. One of those fruitful efforts of hers resulted in an agreement of two great companies, iMediaRt and Too Busy Gals. 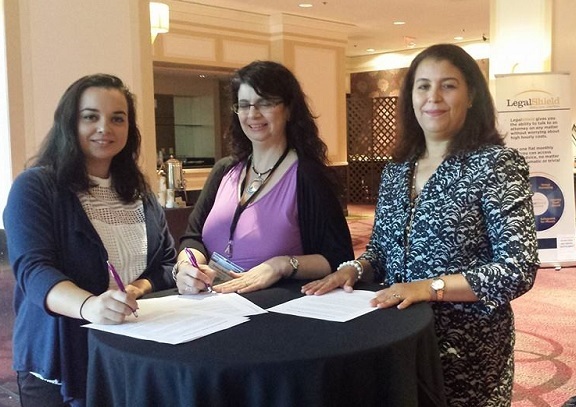 This partnership aims to provide social media services to Moroccan businesswomen who want to export to the U.S.
Bennis is very active and passionate about what she does. She takes advantage of every opportunity to showcase her products that are very high quality. 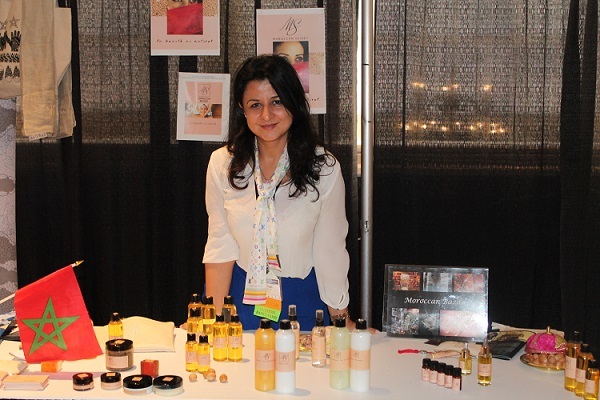 Bennis sells Argan Oil and soaps. Somoue and O’Neill were very delighted to share their knowledge about their product line with people who approached them. Their zeal for their company has certainly created a positive impact on other costumers in the conference. Karroumi was a great ambassador of Morocco. She gave a great image about her country and the people who live in it. 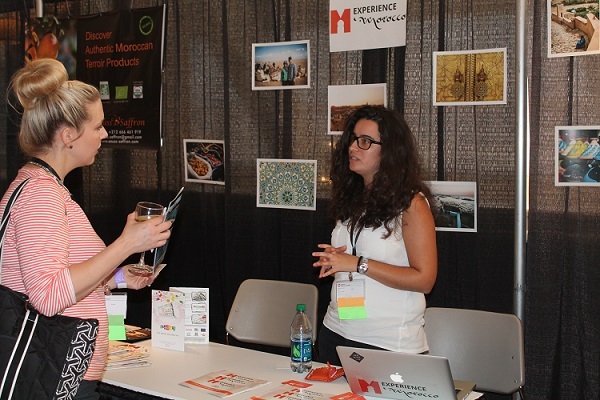 Her passion for Morocco has led her to advertise and promote Experience Morocco, which is doing great under her wise knowledge that she had acquired from one of the best schools in the U.S. Karroumi encouraged people who approached her to visit Morocco and experience the diverse culture that it has. The talented designer Harakat has caught a lot of attention at the conference because of her beautifully designed products. It was also a chance for her, as she says, to develop strong networking relationships with other entrepreneurs who came from all walks of life. 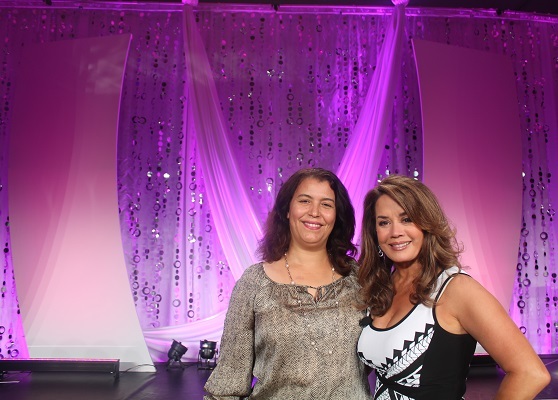 “Thank you very much for inviting me to the eWomenNetwork conference in Dallas, It was great meeting every women involved in this Moroccan Avenue. As an entrepreneur I will say that the conference was an amazing event to network and meet other professional women from a different category to build a business relationship to help grow our businesses… At the same time I would like to add this note about AmCham and Rabia El Alama. Rabia: you have been a wonderful leader to team up with during the event, as a credit to you I will say, our members at AmCham have everything it takes to make and grow their businesses and make a positive move to the next step. What a great year for Tazi’s cosmetic product line that continues to grow year after year! 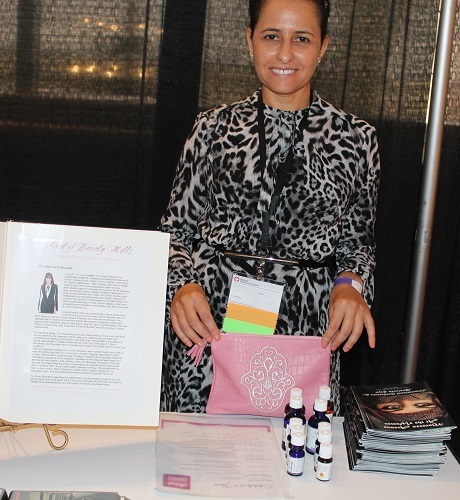 The founder and CEO of Moroccan Secret was in Dallas to push and familiarize potential clients with her pure and organic Argan oil. Tazi’s mission has always been to show and share the natural formula of her merchandise so that women can care about their skin using natural products like hers.